If you weren’t keeping track while it was on, the Shanghai Major – one of Dota 2’s biggest tournaments to date and part of the Valve-funded highest tier of competition – was a stone cold disaster. For viewers, players and casters alike there was barely a full 24 hour period where something didn’t go horribly wrong, especially in the early days. The organiser of that tournament was Chinese F2P MMO distributor and general gaming mega-corp Perfect World and now, five weeks after the event concluded, they’ve issued an official apology. Sound like fun? 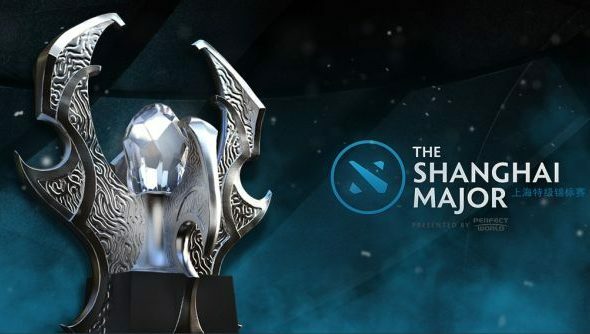 If you start with the best Dota 2 heroes for beginners now, you might be able to compete in the Shanghai Major 2020. The statement was posted on the official Chinese Dota 2 site in both English and the local language. Addressed to Dota 2 players and fans and signed by company president Yunfan Zhang, it first apologises for a “series of mistakes” that caused a “multitude of problems” at the event. It then goes on to say that they have started a full investigation and already begun taking “corrective actions, starting with making changes to internal Perfect World personnel.” In case you don’t read business, translation: some people have been fired. The reaction, at least from the English community, has not been positive. The combination of already poor opinions on Perfect World prior to the event, the delay in issuing what is quite a perfunctory apology and the general apocalyptic air which all discussion of Shanghai has adopted means they were never going to get off easy. There are other companies that can run these tournaments in China, and have done so more successfully in the past – many wish to see them take the reins if and when the Major series returns to China. You can read the full statement on the official site. If you’d like to know more about what went wrong, here’s a bit of a rundownincluding the now-infamous firing of host James ‘2GD’ Harding on day two of the event. As for what’s happening next in Dota 2, the mid-tier invitational tournament held by Starladder is on this weekend while a few more of the big boys will be out to play – including Team Secret with their new roster – the following week at ESL One Manila. However, it looks like we’ll be waiting until the next Major – also in Manila – before all the top teams are in one place again, and we’ll likely see patch 6.87 before that.